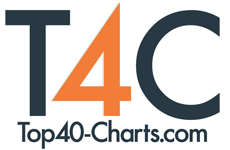 New York, NY (Top40 Charts) Songs, science, celebration! The Kanbar Center at the Osher Marin JCC is thrilled to open their premiere season of BUMBLEBEE Kids with Doug Dirt & Airy Larry of the award-winning Banana Slugs String Band! Join in for a fun, engaging morning of original songs played in a variety of catchy musical styles…from folk to blues to reggae, rock 'n' roll and rap. The songs are educational, funny and deeply moving. Kids come away inspired, and ready to learn more about the Earth. Hands-on arts activities start at 11 a.m. The show begins at 11:30 a.m., and lasts approximately one hour. Join in for this family friendly, interactive, incredibly fun, and inspiring music and science event. WHAT: Fun, family friendly, interactive live music, nature-inspired concert. Hands-on art activities. WHERE: The Osher Marin JCC, 200 North San Pedro Road, San Rafael. PARKING: Ample FREE parking | The Osher Marin JCC is easily accessible - 1/2 mile E off 101. MORE: Recommended for children 4-8. Siblings welcome! The Banana Slug String Band has been playing music for kids for over 30 years. They have played in 40 states and five countries, and for almost two million people! They have released 11 award-winning CDs, and their music is used in school curricula and classes around the world. They have played noted music festivals such as New Orleans Jazz and Heritage Festival, High Sierra Music Festival, and their home festival, Strawberry Music Festival, which they have played nearly 40 times! The Slugs are environmental educators who met while teaching outdoor education in California. Doug Dirt and Airy Larry are the real deal… impassioned musicians, songwriters, performers, educators, and eco-warriors! With guitars, voices, crazy characters, and an extraordinary ability to connect with children, they change the world, one child at a time!